Simple Ways To Celebrate A Birthday - Something New Everyday! Whether it is your son’s birthday, or your daughter’s, we are always on the lookout for ideas to make it extra special. We watch many tutorials to make hand-made crafts, or DIY materials, Google for creative stuff and so on. But it's tough to make a birthday special with a limited budget. Of course, you would want a splendid party, give great gifts and eatables, and have a memorable fun time. Here are a few simple ways to make a birthday extra-special. 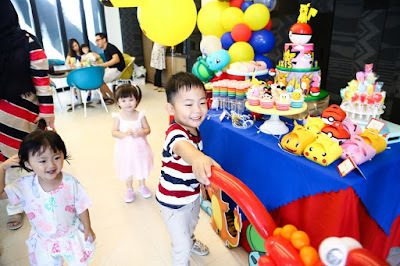 These ideas can make your kids have a memorable and special birthday. Kids always love surprises. They go awww if the surprises are beyond imagination. Most importantly kids love balloons. 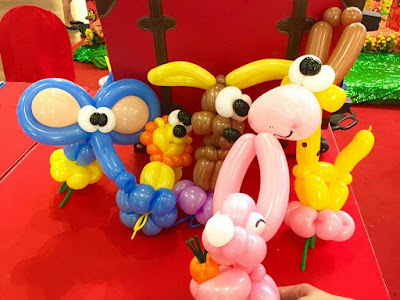 Especially when they are away at school or with other friends at the playground, get your best helium balloons from balloon sculpting and start decorating your kid’s room. You can also opt specific colored balloons that your kids love and decorate their rooms ceiling, windows with balloons. This is sure to bring a big smile on your kid's face. Prepare a perfect breakfast what your child loves. Dinners are mostly get together at restaurants or just pizzas, burgers, coke and Pepsi. All mom’s out there try crafting a delicious and yummy breakfast which is of your kid’s favorite. It can either just be pancakes or peanut butter spread chicken sandwich. Just spend that day, solely for your kid. Handmade gifts are always the best. It always comes as a welcome surprise. Plan ahead as what kind of hand-made gift would surprise them. You can also make your DIY gifts like pop up birthday cards, magic birthday cards, handmade lanterns, dream catchers. Gift them something different and unique which they wouldn’t have expected. If your kid has a sibling, join hand and make it a bigger gift. This is definite to bring happiness to your kid's face. Who doesn’t love to hear their story, when he or she was born? Everyone loves too. Added to that, it’s very easy and simple to narrate. If you have photos clicked every year that is an added advantage. You can let know your child how funny and mischievous they were, how they enjoyed every family trips and picnic and so on. It’s an opportunity for you to spend more time with your kid on their birthday. Baking a cake has become super easy that every woman excel is baking cakes. You would know what flavor your kids love. Bake their favorite cake with love. You can also have frostings on it like roses, chocolates, creams, gems, etc. Today even kids have started excelling in cake decorations. Many kids love to decorate their birthday cakes. If your kid is one such person, let them do the decoration for their birthday cake. Decorating one’s birthday cake gives immense happiness. Also, few kids love the tradition of tying a balloon on the chair when they cut a cake. Sounds cheesy and funny right? Just do it for your kid’s cake. If you wish to gift your kid for a birthday, go for small but meaningful gifts. Look out for gifts which appeal their interest. Kids love tiny gifts and the gifts which involve a lot of creativity. Offering one such creative gift will help your kid to explore their artistic side. Also, look out for educationally related gifts as they are missing in the present days. Since it is your kids birthday, let him choose his schedule. Kids don’t like waiting. If your kid prefers gift first and then the meal, then grant him his wish. There is nothing wrong with allowing them to open their gift first before the meal. Birthdays generally don’t mean that you have to go out, give treats to friends, and spend a lot of money to make it memorable and fun. It can be spent even at home with a limited budget. Capture a lot of pictures to make the day a memorable one. Put a party in your own home and make your kid feel like a rock star on their special day with a limited budget.